Social commerce has changed the game. The rise of influencer marketing and user generated content is driving the rapid growth of social commerce. Now is the time to start selling through social channels and provide a seamless checkout your customers are expecting. 60% of Instagram users discover new products via Instagram. Start selling through the channels where your customers are most engaged by providing a seamless social shopping experience. Reach shoppers where they are by providing shoppable product galleries on both Facebook and Instagram. Automatically add a shop tab to Facebook and easily tag products within Instagram posts. Reduce the path to purchase and increase conversions with social commerce. 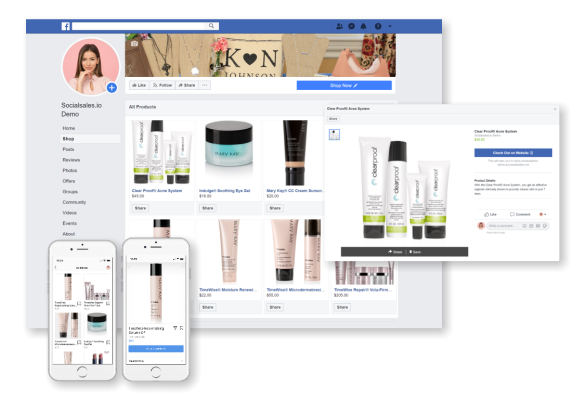 Our seamless shopping experience allows your social customers to discover products through Facebook or Instagram and easily checkout on your replicated website. No developer or technical expertise required. Our system automatically creates your Facebook Store and loads your Instagram products with just a few easy steps. 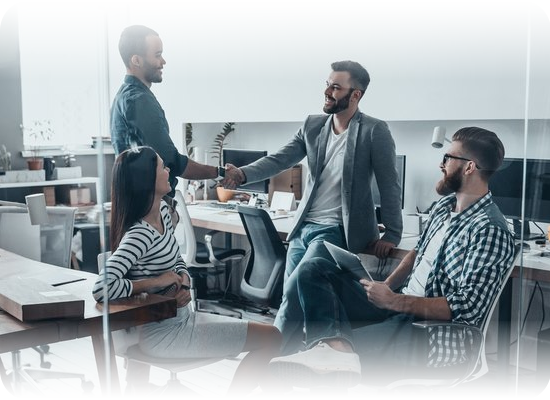 From our Commerce Express plan to a fully customized and integrated eCommerce solution, we can meet the needs of your distributors and stay within your budget. Low setup fee. No integration required. A turnkey social commerce solution to get you up and running quickly. 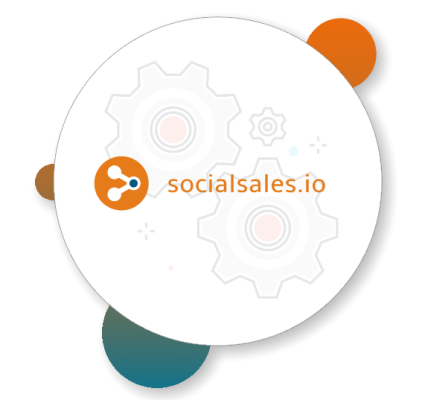 Leverage our product and order management portal for all of your social commerce needs. 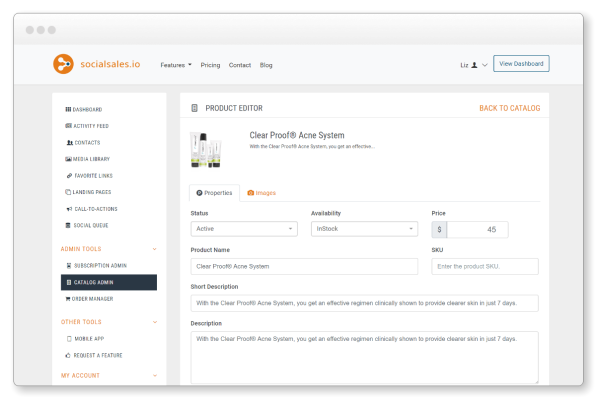 Integrated with your commerce backend system. Leverage your existing commerce engine for order calculations, payment and fulfillment. 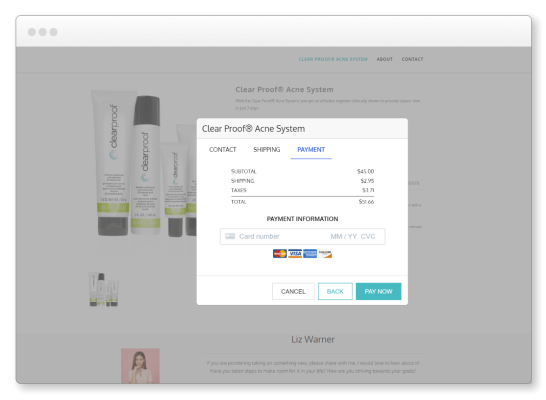 Combine the power of our seamless checkout and your commerce engine for the best social commerce experience. 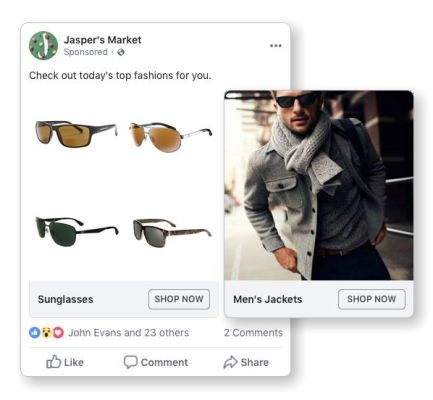 Automatically target previous social shoppers with product specific ads on Facebook and Instagram. Distributor attribution is automatically tracked from the original visit and maintained throughout retargeted advertising.